Traditional backup systems fail to meet the needs of modern organizations by focusing on backup, not recovery. They treat databases as generic files to be copied, rather than as transactional workloads with specific data integrity, consistency, performance, and availability requirements. services, are subject to ever?increasing regulatory mandates that require stringent protection against data breaches, data loss, malware, ransomware, and other risks. These risks require fiduciary?class data recovery to eliminate data loss exposure and ensure data integrity and compliance. 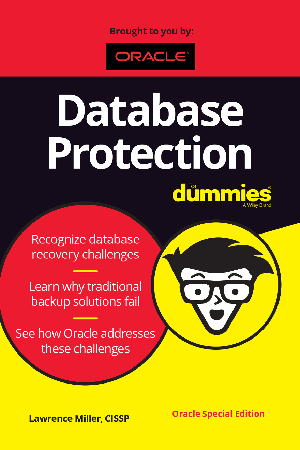 This book explains modern database protection and recovery challenges (Chapter 1), the important aspects of a database protection and recovery solution (Chapter 2), Oracle’s database protection and recovery solutions (Chapter 3), and key reasons to choose Oracle for your database protection and recovery needs (Chapter 4).